Make sure you process the walnuts until they are in very small pieces, like coarse bread crumbs, but don't process them so long that they become oily. Wrap dough in plastic wrap and chill until firm, 30 minutes to 1 hour. Preheat oven to 325 degrees. Roll dough out on lightly floured counter to 1/4 inch thickness and cut with your favorite Ann Clark cookie cutters, then transfer cookies onto cookie sheets that have been lined with parchment paper or silicone liners. Bake 20 minutes, or until just barely browned around the edges. Let cookies cool slightly on cookie sheets, then transfer to wire rack to cool completely. 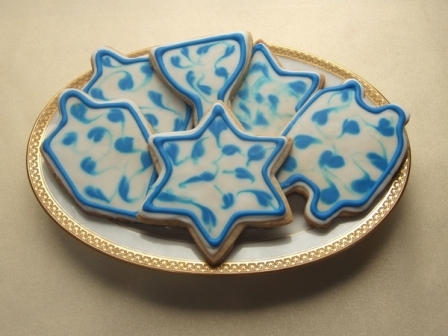 Enjoy plain or decorate with royal icing if desired.